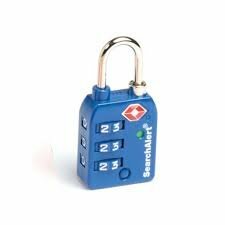 This easy-to-use luggage lock allows TSA agents to open it for searches and lock it back afterwards, without damaging your lock or your luggage. The security window will change from green to red, indicating that your lock has been tampered with or opened and giving you an opportunity to examine the contents while still at the airport. SearchAlert case is constructed in a rugged metal alloy.